Mark Hebner - Index Fund Advisors, Inc. 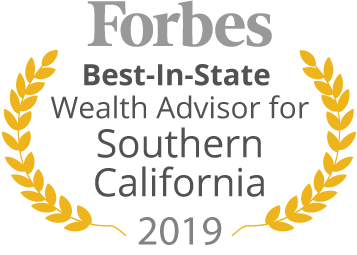 The Forbes ranking of Best-In-State Wealth Advisors, developed by SHOOK Research, is based on an algorithm of qualitative criteria, mostly gained through telephone and in-person due diligence interviews, and quantitative data. Those advisors that are considered have a minimum of seven years experience, and the algorithm weights factors like revenue trends, assets under management, compliance records, industry experience and those that encompass best practices in their practices and approach to working with clients. Portfolio performance is not a criteria due to varying client objectives and lack of audited data. Neither Forbes or SHOOK receive a fee in exchange for rankings. Advisors are ranked based on an algorithm of qualitative criteria, mostly gained through telephone and in-person due diligence interviews, and quantitative data. The algorithm is designed to fairly compare the business practices of a large group of advisors based on quantitative and qualitative elements. Data are weighted to ensure priorities are given to dynamics such as preferred “best practices”, business models, recent business activity, etc. Each variable is graded and represents a certain value for each measured component. These data are fed into an algorithm that measures thousands of advisors against each other. Those advisors that are considered have a minimum of seven years experience, and the algorithm weights factors like revenue trends, assets under management, compliance records, industry experience and those that encompass best practices and approach to working with clients. Portfolio performance is not a criteria due to varying client objectives and lack of audited data. Mark T. Hebner is the founder and president of Index Fund Advisors, Inc., (IFA), author of the highly regarded book Index Funds: The 12-Step Recovery Program for Active Investors, focused on investor education. Mark’s current book and previous editions received praise from financial industry experts and academic luminaries, including John Bogle, David Booth, Burton Malkiel, and Nobel Laureates Harry Markowitz and Paul Samuelson. The book has been nominated as one of the three all-time greatest investment books, along with the writings of John Bogle and Warren Buffett. This book details the possible perils associated with stock picking, mutual fund manager picking, market timing, and other wealth depleting behaviors. Hebner’s 12-Step Program teaches the differences between active and passive investing,explains the emotional triggers that impact investment decisions, and offers an enlightening education on evidence-based investing that may forever change the way an investor perceives the stock market. Hebner is a respected speaker, frequent news contributor and authority on investing. His life’s mission is to “change the way the world invests by replacing speculation with education.” Hebner is especially knowledgeable about index funds, portfolio construction and the research indexes designed by Nobel Laureate Eugene Fama and Kenneth French. These indexes provide the building blocks for the prudent evidence-based investment strategies that Hebner implements for his IFA clients. Mark is a Wealth Advisor (Series 65) and has an MBA from the University of California, Irvine and a Bachelor’s in Nuclear Pharmacy from the University of New Mexico. He was a member of the Young Presidents' Organization for over 20 years and is currently a member of the World Presidents’ Organization and the Chief Executives Organization. Prior to founding Index Fund Advisors in 1999, Mark was President, CEO and co-Founder of Syncor International (previously a public company - SCOR) from 1975 to 1985. In Jan. 2003, Cardinal Health acquired Syncor for approximately $850 million. As a division of Cardinal Health, it is the world's leading provider of nuclear pharmacy services. Calculating risk capacity is the first step to deciding which portfolio will generate optimal returns for each investor. how much risk one can manage.